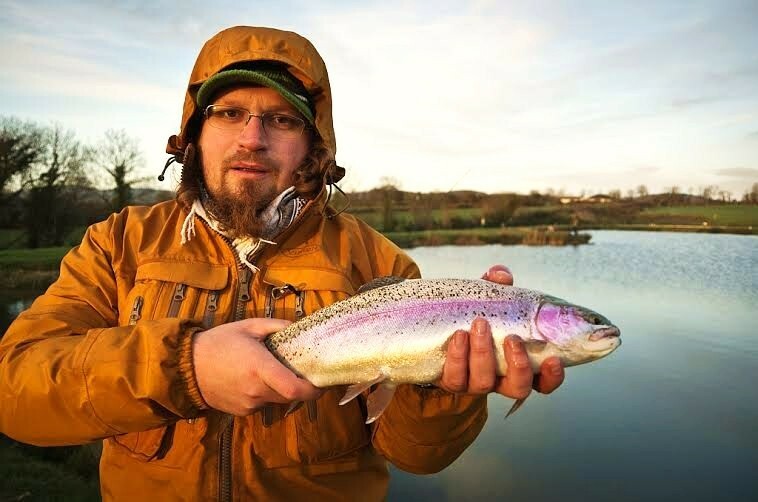 Earlier in the week Kuba contacted me asking if I would like to end the season with a days fishing on Ardaire Springs. 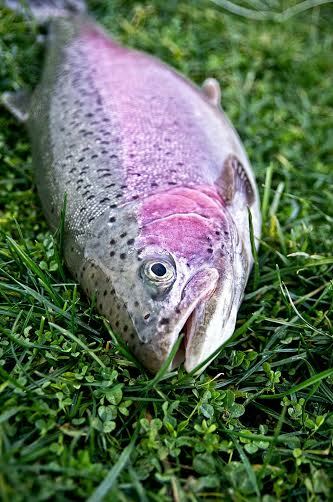 Fishing on New Years Eve – of course! 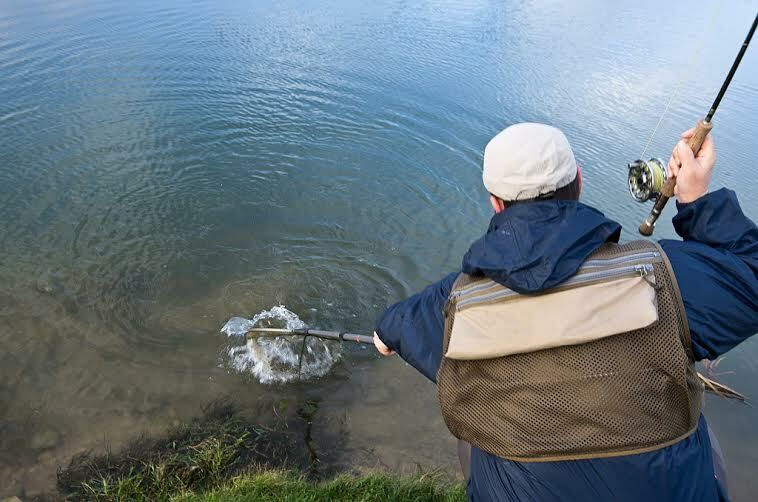 It was the final chance of 2013 to ‘fling a fly’ into the water. We arrived at the fishery at 9am and Krysztof, a friend of Kuba’s was there waiting. 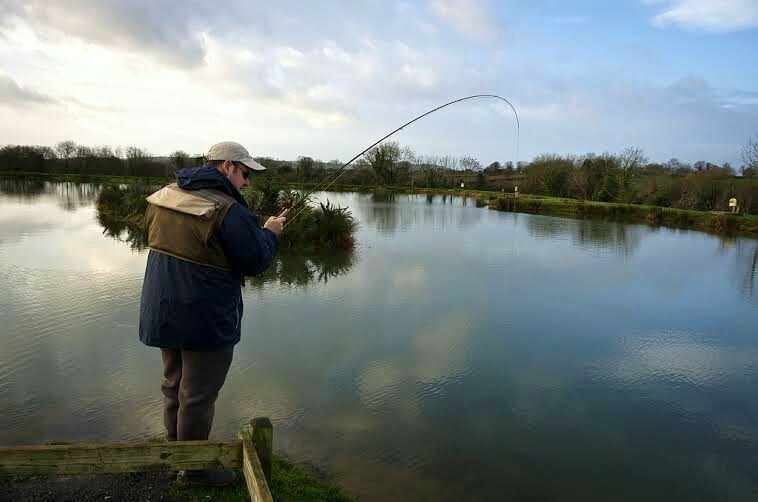 I opted to set both my 10 ft Hardy rods – one with a floater and one with a sinking line. I put a spare spool for my Greys reel holding a 0.5ips Intermediate line into my pocket – just in case. The lake was flat calm with not much surface activity. The first hour or two were action packed for me with a lot of fish on a static bloodworm. The wind picked up and there were periods of torrential rain. I continued to pick up a few fish as did Martin who I have met at Ardaire on a few occasions now. Kuba and Krysztof had a few takes on lures but not lots of fish. We took a break for lunch and I met some of the anglers that will be participating in my Stillwater course at Ardaire in February. Really nice people. This course is now full but there are still a few spaces on the March course. Later in the afternoon the strong wind and heavy rain moved off but air temperatures dropped. The odd fish was still falling to nymphs fished really slowly. I decided to try a black lure on the 7wt and it paid off. Kuba wasn’t having a lot of success so I gave him a large streamer fly to try. 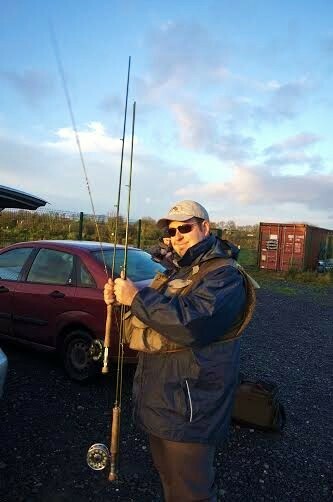 It was a pattern that had caught a lot of trout for me and anglers I guided on the Rivers Nire and Suir. 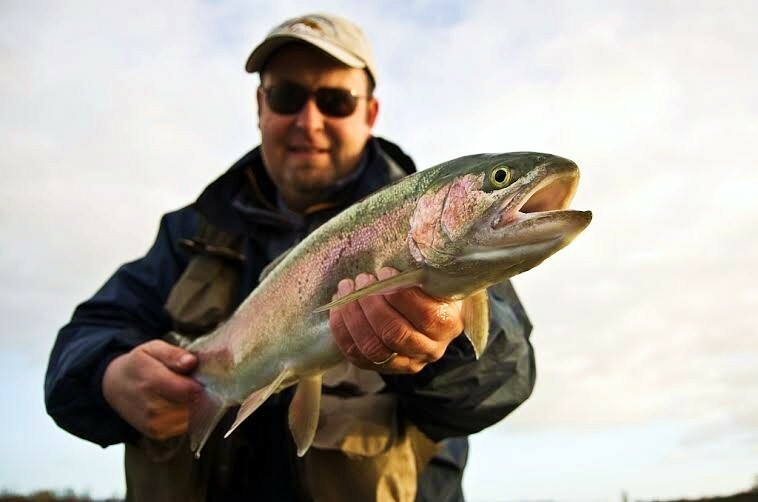 Third cast and he caught – result! Even as the light began to fade away and the year came to a close there were still a few fish biting. 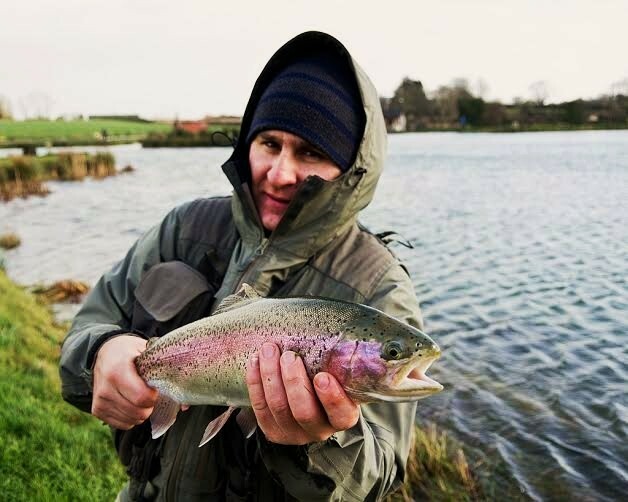 Not as many large fish as some previous trips to this fishery but fantastic to be fishing on New Years Eve and really looking forward to 2014. Have to mention that the fish were in superb condition too.